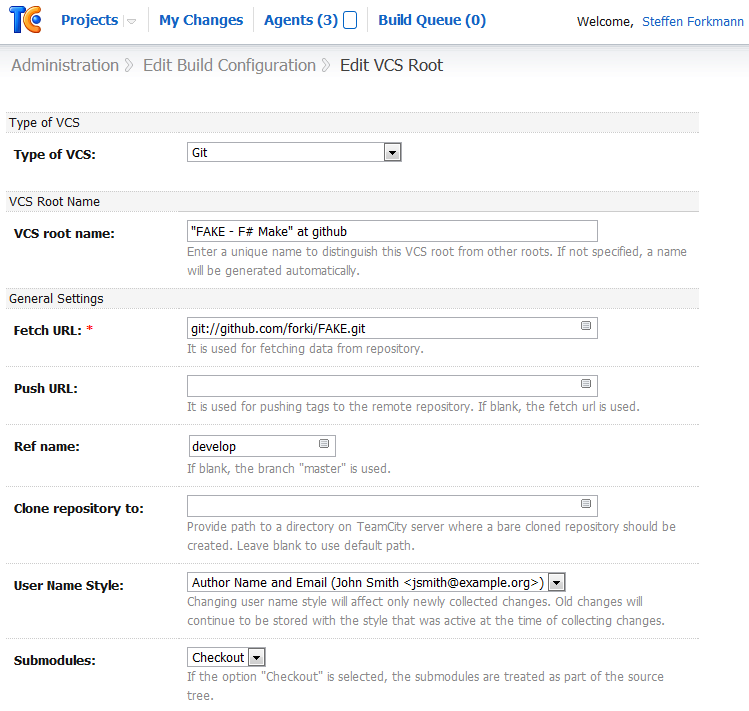 Easy TeamCity integration was one of the major goals for the FAKE build system. 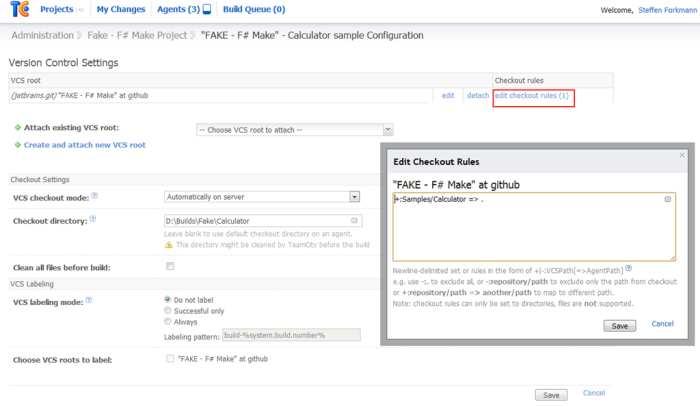 In this article you will learn how to set up a FAKE build script in TeamCity. 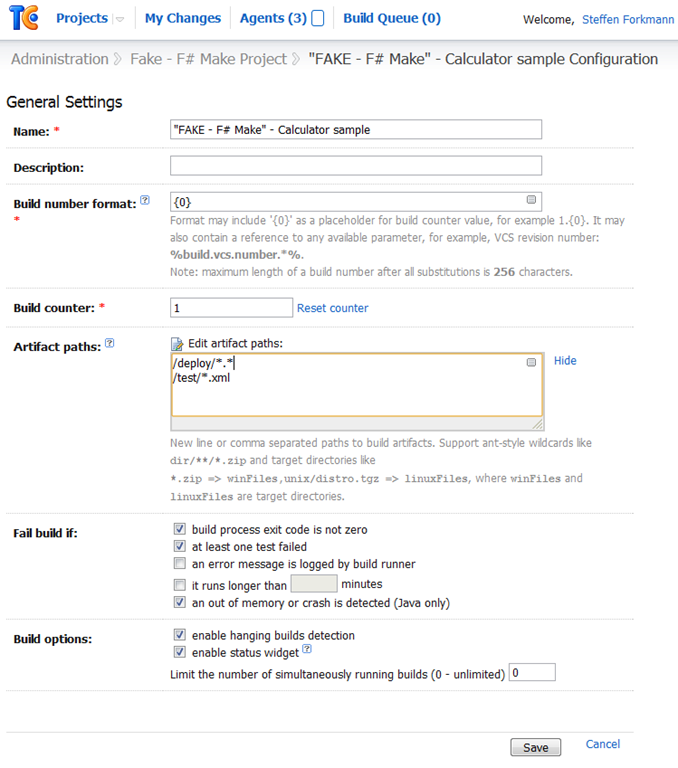 We will use the CalculatorSample which you can build from the getting started guide. You can download the free professional edition of TeamCity from http://www.jetbrains.com/teamcity/. 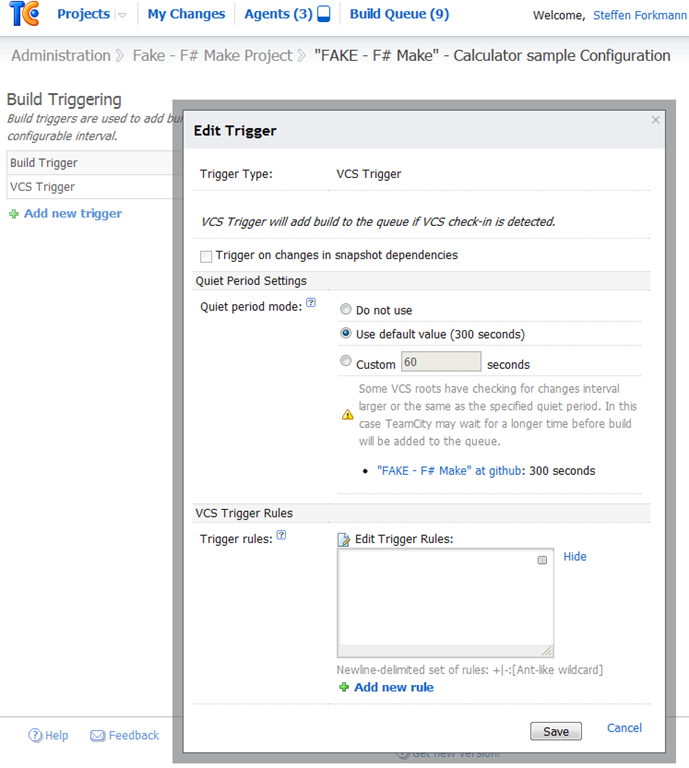 After the installation process you should be ready to configure your first build. The next step is to attach a VCS root. For this sample we will use the official FAKE repository at https://github.com/forki/FAKE/.